Chicagoland families can get out into nature and improve the health of our planet during Party for the Planet® Spring into Action, a series of celebration and stewardship days that will take place between Earth Day (April 22) and World Oceans Day (June 8) hosted by Brookfield Zoo, Lincoln Park Zoo and Shedd Aquarium. 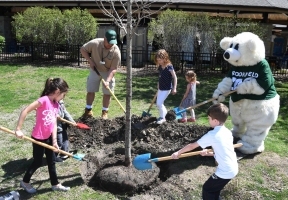 Sponsored by the Disney Conservation Fund in partnership with the Association of Zoos and Aquariums, the series of events will provide the local Chicagoland community with opportunities for families to volunteer and take action for animals and our living planet. 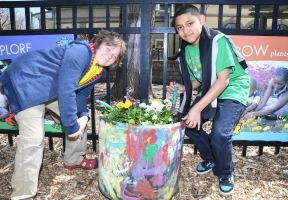 The celebration will kick off Saturday and Sunday, April 13 and 14, in advance of Earth Day at Brookfield Zoo, where guests can bring in a variety of items to recycle such as electronics, textiles, household hazardous wastes, and paper for shredding. To find out more about Brookfield Zoo’s Party for the Planet event, including what items can be recycled, visit CZS.org/PartyPlanet. Guests interested in joining one of the events to make a difference for our local wildlife can explore the events and scheduled Family Volunteer Days online at sheddaquarium.org/Party.